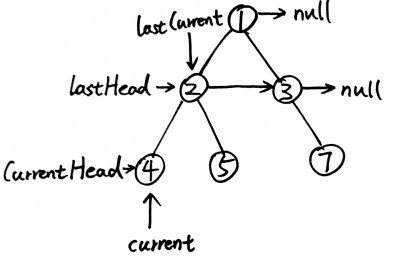 Similar to Populating Next Right Pointers in Each Node, we have 4 pointers at 2 levels of the tree. Yes. That’s the reason. Either BFS or DFS has O(n) space complexity. what’s the point of using while loop instead of recursion ? is thi because of using constance space requirement?